You do realise I can see IP's right. Multipackwolf wrote: You do realise I can see IP's right. I'm thinking this either means you've seen the interesting interests set for his profile and think its funny. Or your suspicious on why his first post is sent from my phone? Lemongrab is my brothers profile. But here something you gotta see. 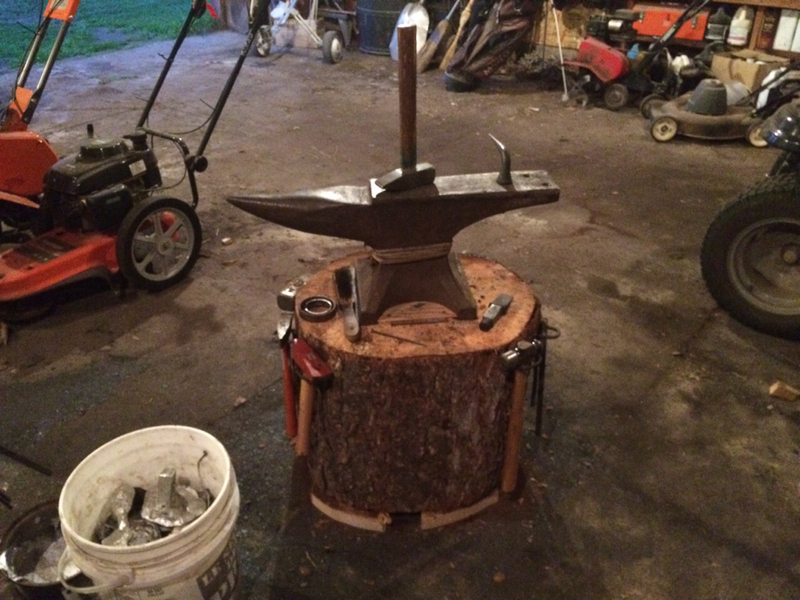 I found myself a new block for the anvil and it is like 100 years old. My old one was good and I have used it for two years but this one is perfect and I will use it forever! I kinda stole it off a golf course in a provincial park.. Hope no one was going to use it. : P lol it has a better home in my shop then anywhere else anyway.